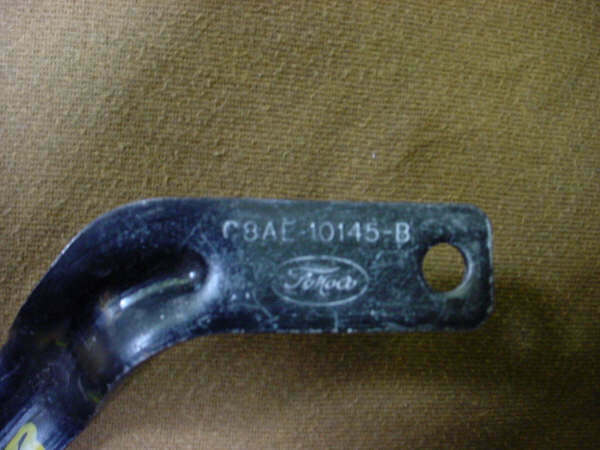 This page contains application and service part or engineering (casting) number descriptions for the many accessory brackets used on 428 CJ and SCJ Mustangs. Much of the information listed here has been gleaned from master parts catalogs and ongoing discussions with people who work with these parts for a living. Please note that all references to 1968 applications with air conditioning are for the Shelby GT500KR. Air conditioning was not an available option for the non-Shelby Mustang equipped with a 428 CJ engine. Key to abbreviations: "a/c" = air conditioning, "ps" = power steering, "w/" = "with", "w/o" = "without". 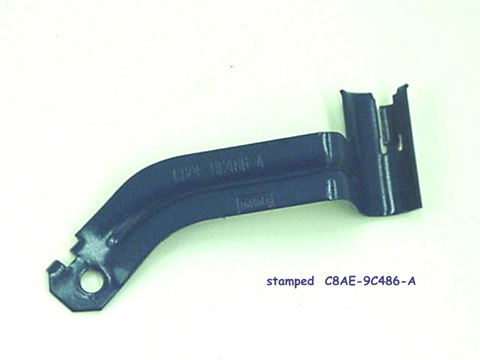 Air conditioning bracket notes: These brackets are typically shared with other more common FE engines, like 390s. 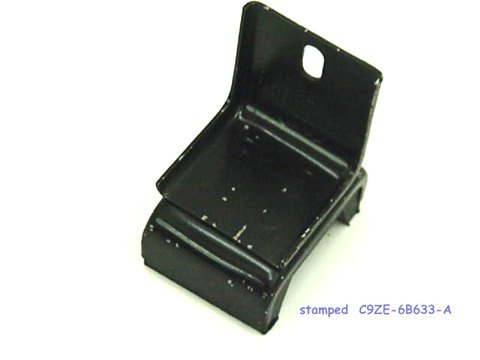 Engineering numbers can be found on the compressor mounting brackets, but they're not typically found on the pulley mounting bracket. 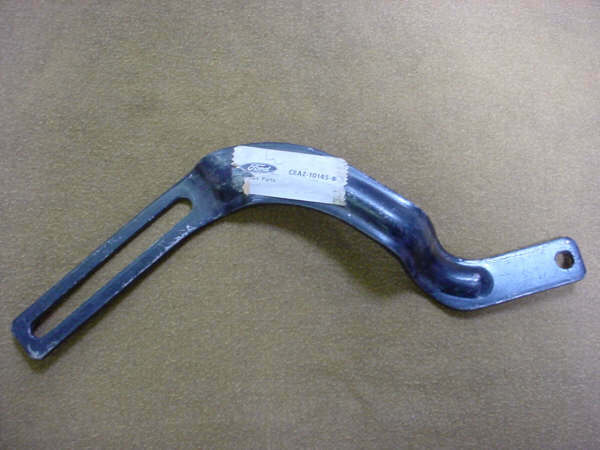 The pulley mounting bracket is identified as an "Air Conditioning Compressor Brace" in the 1975 Master Parts Catalog. 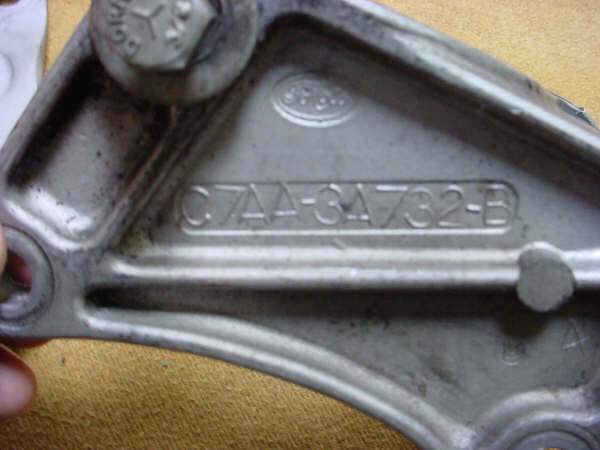 Alternator bracket notes: Engineering numbers are typically stamped into the metal on these brackets. CJ Mustangs delivered in the United States were typically, if not always, equipped with a Thermactor emissions (smog) system, which included an air pump. The alternator mounts below the smog pump if the smog pump is present. The alternator mounts up high (in the smog pump location) if the smog pump isn't present. The cylindrical spacer should be pink anodized aluminum. 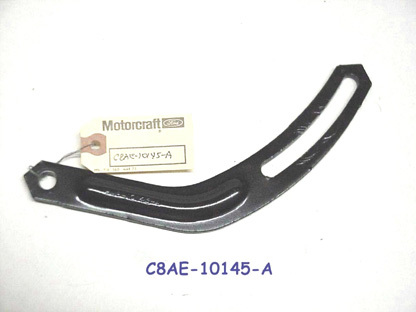 These brackets are also typically shared with the more common 390 FE engines. The mounting bracket is also used to mount the smog pump (see below). 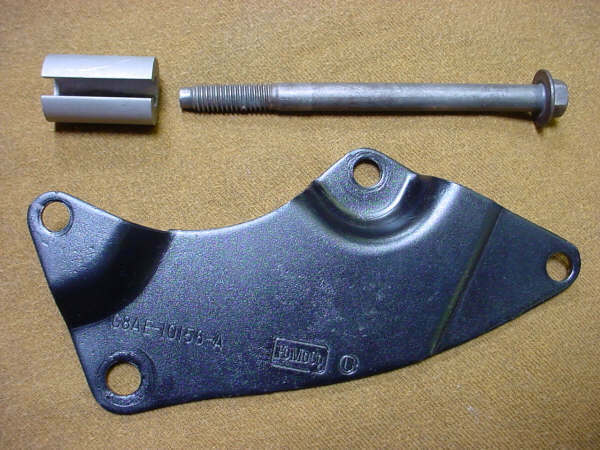 Horn support bracket notes: With an external oil cooler (see below) used on SCJ engines, the driver's side horn was relocated to the passenger side of the radiator support, sharing space with the passenger-side horn. 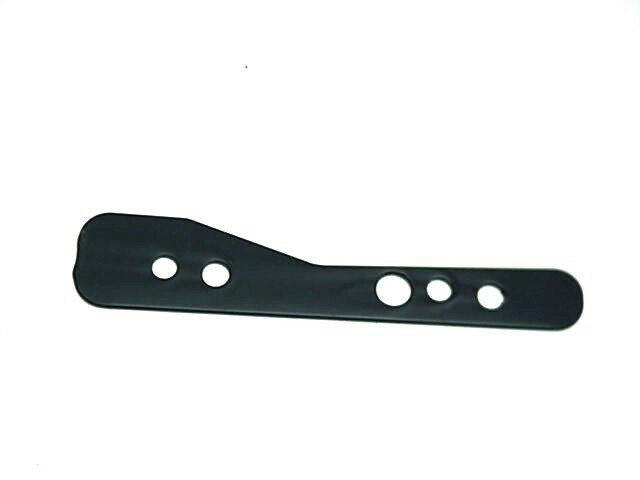 This bracket was used behind the radiator support to help mount the horns securely. 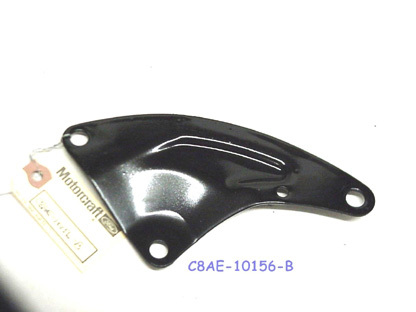 Note that the 1975 Master Parts Catalog lists this part for use in 1969 only, but it has also been found on 1970 model year vehicles. 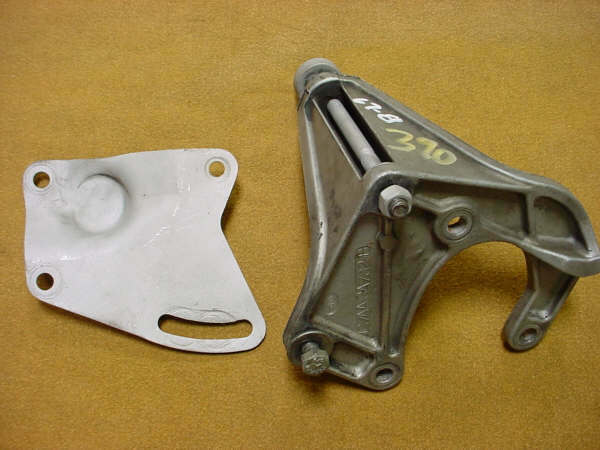 Oil cooler bracket notes: An external oil cooler was used with 428 SCJ engines, not CJ engines. 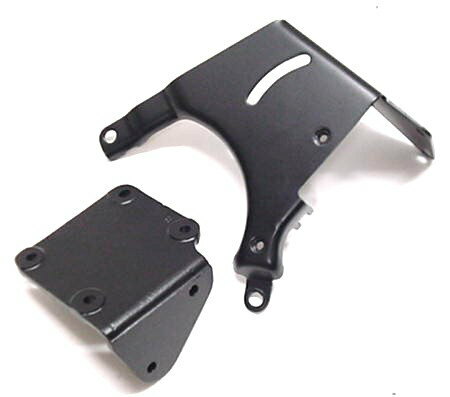 Power steering bracket notes: While the majority of the brackets described here are made of stamped steel, the power steering pump mounting support bracket is made of cast aluminum. Note that a spacer is needed to mount the support bracket if a/c isn't present. 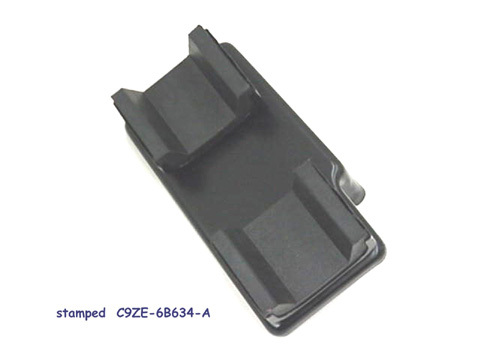 If a/c is present the a/c pulley mounting bracket includes a mounting tab that takes the place of the spacer. 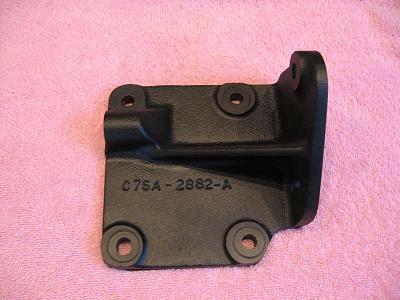 Smog pump bracket notes: The bracket used to mount the smog pump is shared with the alternator (see above). Thanks to Bill Upham of Mansfield Mustang and Bill Kubeck for most of the pictures used here.